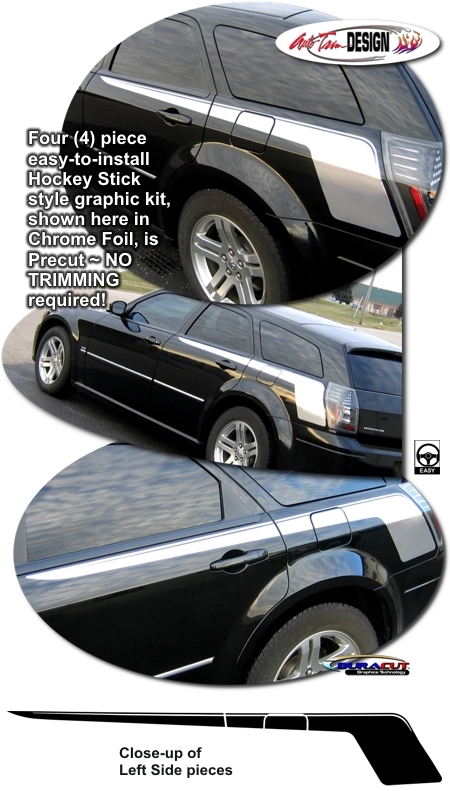 Set your '05-'08 Dodge Magnum apart from the rest with this classic Hockey Stick Style Body Side Graphic Kit. Available in a wide variety of colors, graphic is designed and manufactured to be placed along the Magnum's distinct body line as shown in the image, features a classic 0.25" (6.35mm) pinstripe accent at upper edge and is packaged with one (1) left and one (1) right side graphic. Kit is Precut and easy-to-apply ~ NO TRIMMING required!